Key Difference: Bitcoin was the first successfully peer-to-peer implemented cryptocurrency protocol. Ripple was originally a payment system, currency exchange and remittance network. Eventually, it built up its network to include its own cryptocurrency called ripples. Bitcoin is a type of peer-to-peer cryptocurrency protocol. Cryptocurrency is a type of digital currency that uses cryptography to make a ‘distributed, decentralized and secure information economy’. Essentially, a cryptocurrency is a digital currency, which just means that it is traded online, but does not have a centralized authority, such as banks or governments controlling or limiting it. However, this also means that it is not backed by an authority in case of fallout. The currency has value just because regular people have deemed that it does and there is demand for the currency. 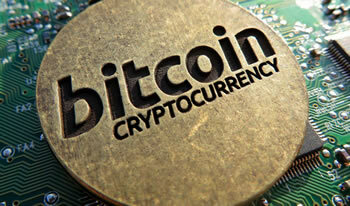 Bitcoin was launched on 3 January 2009 by Satoshi Nakamoto. It was the first successfully peer-to-peer implemented cryptocurrency protocol, however the idea of a decentralized digital currency was not new. The name Satoshi Nakamoto turned out to be a pseudonym, and in the five years since its implementation, noone has come forward to claim the authorship of the protocol. Eventually, the person or group handed over the responsibilities of managing the protocol to its actual users. In fact, even new coins are created by the users, via the process of mining. Bitcoin has come a long way, especially for a decentralized currency. In fact, today it is worth more than any fiat (government-backed) currency. As of February 4th, 2014, the most expensive fiat currency in the world is the Kuwaiti Dinar, where 1 Kuwaiti Dinar = 3.54 US Dollar. On the other hand, 1 Bitcoin = 921 US Dollar. On the other hand, there is a bit of a controversy regarding whether or not Ripple is considered a cryptocurrency. Ripple was originally a payment system, currency exchange and remittance network. Its main function was to enable secure, instant and nearly free global financial transactions of any size with no chargebacks, whether with fiat money, digital currencies, commodities, or any other unit of value, such as frequent flier miles, mobile minutes, etc. Eventually, it built up its network to include its own cryptocurrency called ripples. Ripple is actually older than Bitcoin. The project was first implemented in 2004 by Ryan Fugger. However, it was originally just a payment network and distributed exchange. The currency was not launched until February 2013 by OpenCoin, Inc., a company created by Jed McCaleb and Chris Larson on order to advance this concept of Ripple. OpenCoin, Inc. eventually became Ripple Labs Inc. The currency itself has seen some success. Within a year of its launch, (as on February 5, 2014) Ripples has a market capitalization of 2,510,981 BTC, which is valued at US$2,081,351,917. While both Bitcoin and Ripple are cryptocurrencies, there are some differences between the two. Firstly, they both differ in their creation. Bitcoins are created by the users through mining, whereas the creators of Ripple created 100 billion ripples from the get go. Of these 20 billion were retained by the creators, seeders, venture capital companies and other founders. The remaining 80 billion were gifted to Ripple Labs, who will distribute 55 of that 80 billion to charitable organizations, users and strategic partners. Ripple Labs will retain the remaining 25 billion. Furthermore, to buy or sell Bitcoins, one has to use centralized exchanges like Mt. Gox, which may crash or shut down. However, as Ripple is a Distributed Exchange, one has buy or sell ripples on its own secure network. Ripple transactions are not free. Each Ripple transaction has a transaction cost, which is destroyed at the end. The transaction fees are not paid to anyone. On the other hand, Bitcoin usually does not have any transaction fees. Also, Ripple can track information of any kind. Hence, it can track account balances of any existing currency. Whereas, Bitcoin tracks only the movement of Bitcoins. Protocol originally launched in 2004. Currency launched in February 2013. No more can be created. 25 billion will be retained by the company.